WFMY News 2 featured New Garden Friend School's MLK Day activities on the evening news on Monday, Jan. 21. Watch the clip here! 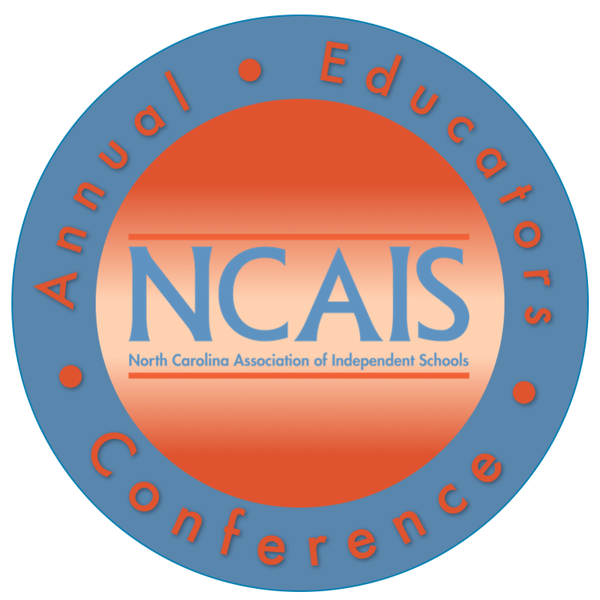 The 2018 Annual Educators Conference for North Carolina Association of Independent Schools (NCAIS) is happening on Friday, 10/26, with a big presence from NGFS! Fifteen of our faculty members are presenting on a range of topics. Marjory Stoneman Douglas High School in Parkland, Fla. began speaking out following the tragic school shooting that killed 17 students and faculty in February. These students have used social media to transform their pain and outrage into a national movement and have inspired countless others to join the fight to change gun laws. NGFS students and faculty participated in the March for Our Lives in Greensboro. Read more. “Everybody can be great...because anybody can serve. You don't have to have a college degree to serve. You don't have to make your subject and verb agree to serve. You only need a heart full of grace. A soul generated by love.”- Dr. Martin Luther King, Jr.
Martin Luther King, Jr. Day has nationally become a day dedicated to serving others. Referred to as “A Day On, Not a Day Off”, many people across the country choose to give back to their communities by participating in a day of service. 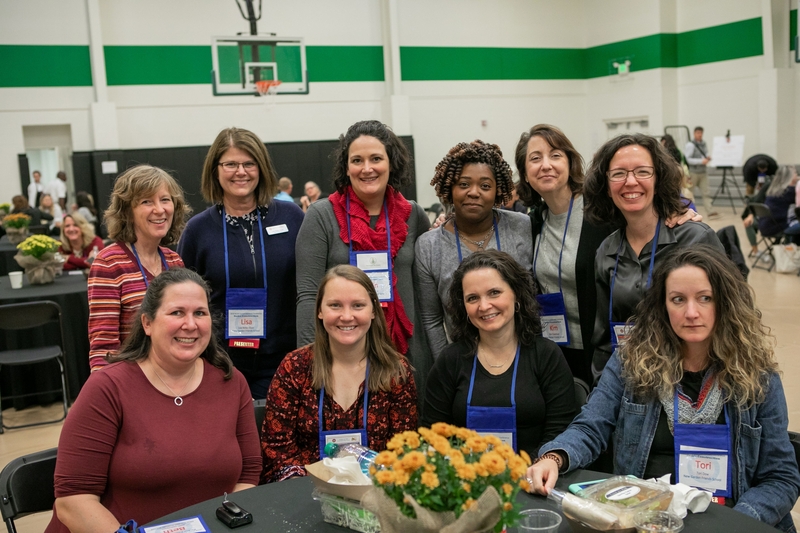 NGFS recognized the opportunity to have school on a day that is traditionally a day off to solely focus on Dr. King’s words, impact, and commitment to helping others. The values of a Quaker school - equality, peace, simplicity, social justice, and service towards others, closely align with Dr. King’s legacy. Children spent the short week trying to remember and say the long name of a very important man. We read stories about differences among people and caring for and respecting one another. Students made healthy muffins to share with the Interactive Resource Center. On our MLK Day of Service, Sunrise students enjoyed spending time with galaxy fifth and sixth graders and retired sunrise teacher Pat Lorenc as they prepared two batches of cowboy stew for the guests at the interactive resource center. Together with our Galaxy friends we also read an illustrated biography of Martin Luther King, Jr. where students learned about the important work MLK did for our country and how he persevered in spite of the many challenges he faced. Students also enjoyed hearing the book Martin’s Big Words and began a writing activity where they wrote and decorated their own big words which are displayed in our classroom. We had a wonderful celebration of Dr. Martin Luther King, Jr.’s birthday, full of singing, sharing, and service. Rainbow students worked on making plarn to be made into sleeping mats for people experiencing homelessness, made kits for migrant workers, and mixed up a fruit salad for guests and volunteers at the IRC. After Meeting for Worship Horizon students made lasagna and salad for the IRC warming shelter. We also did an MLK Day inference activity, then watched a civil rights Brain Pop video, and ended our day with resources. Students also took part in a workshop led by the Daliana Dance Studio who worked with our students and performed eas part of our Martin Luther King Day celebration. Students watched an interactive version of the "I Have a Dream" speech and then gave students a chance to explore related links within the website. We participated in different service groups – helping out in Sunrise, making plarn, and cooking lasagna, salad, and fruit salad. We also enjoyed the dance workshop, played civil rights bingo, and made 3D doves. With this being a short week of school due to weather conditions, the highlight of our week was MLK Day. Our school day started with Meeting For Worship together as a school. During this time a couple of our Upper School students read a book by James Weldon Johnson entitled Lift Every Voice and Sing. As usual, we sang our songs during Meeting, but we had some help from a group who provided songs that you would have heard during the time Dr. King would march through the streets, or in the churches where he offered encouragement through his sermons. After Meeting For Worship, the middle school staff and students headed downtown for the annual MLK day parade. Interacting with the greater Greensboro community was great. Once we arrived back to school, Logie Meachum came as our guest speaker after lunch. He didn’t need an introduction because Logie came in singing his blues and a story to tell. Logie provided our students with the rich history that they walk through daily in our community. He also challenged them to set high expectations given the education that has been provided to them through the roots that Quakers have set in history right here in Greensboro. Students ended their day with watching a video of King’s, “I Have A Dream speech,” then creating their own personal “I Have A Dream Speech” through an activity provided by MS teachers. We had a fun-filled day and look forward to following through on the challenge offered by our friend Logie. On Monday, we honored the legacy of Dr. Martin Luther King with a full day of special programming. Our day started with a called Whole School Meeting for Worship. On this special day, guest singers engaged us with songs that may have been sung in Dr. King’s church. Upper School students welcomed a couple of guest speakers. 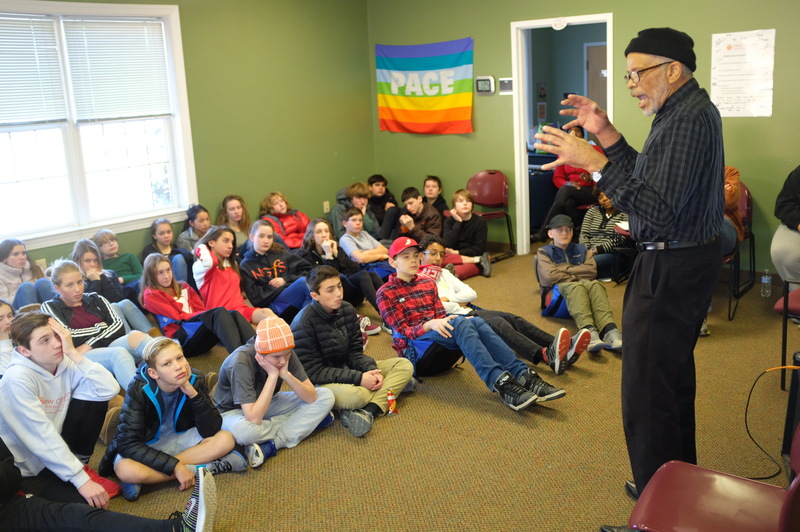 Max Carter led a workshop called “Underground Railroad to Desegregation Efforts: Two Centuries of Quaker Work for Racial Justice” and Michelle Kennedy led “MLK, Poverty and its Intersections with Race”. 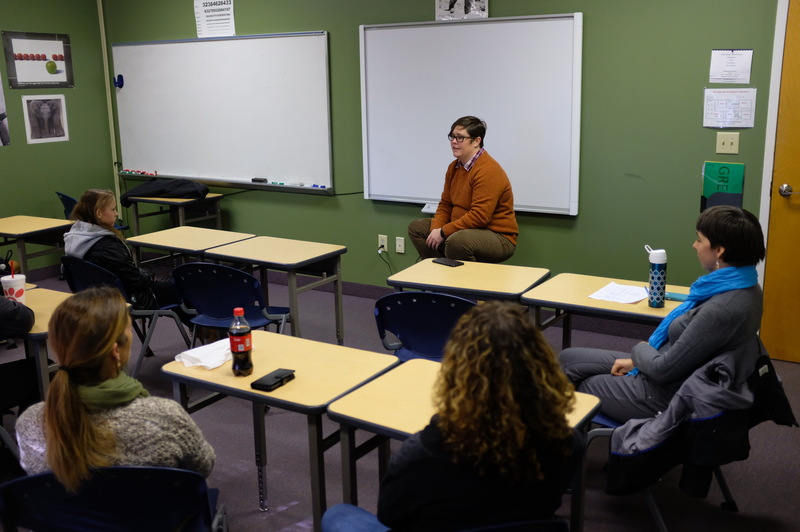 Upper School teachers led workshops that explored topics of Vietnam, Malcolm X, and environmental justice. A special thank you to our Diversity Committee for planning the Upper School celebration! Derek Brandon was interviewed by the Greensboro News & Record as a featured athlete. 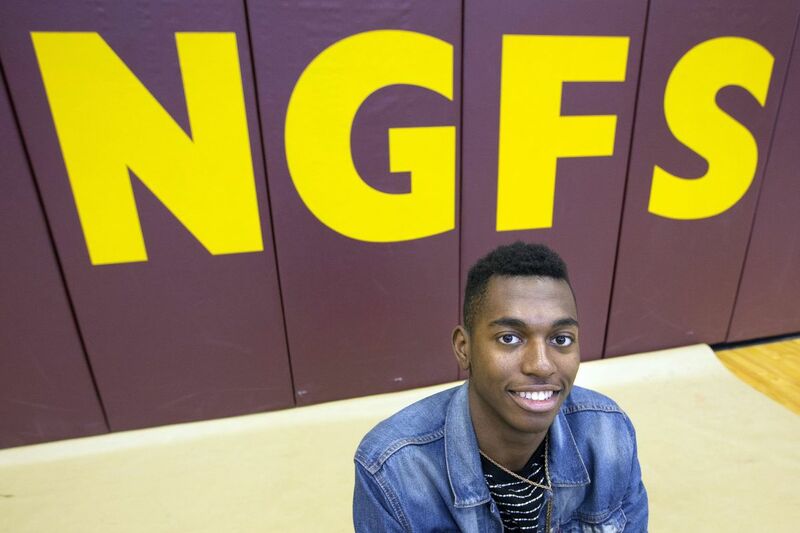 Derek is a talented guard on the NGFS varsity boys basketball team. 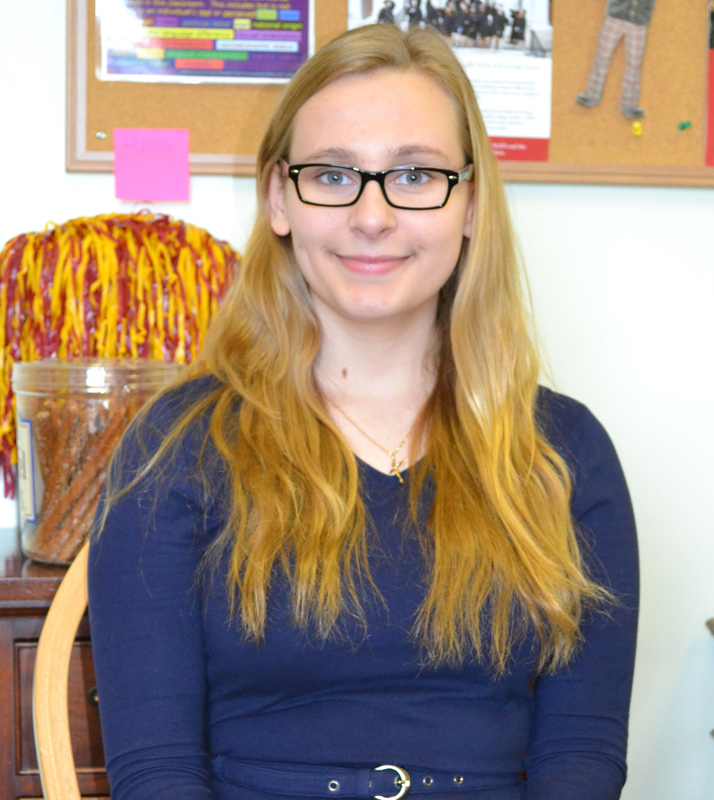 Virginia Ignelzi, a senior at New Garden Friends School, scored a 36 on her ACT — a perfect score. Ignelzi has attended NGFS since first-grade.